Matrix Orbital offers several ways for you to interact with and control our displays. From a full colour touch panel to a durable silicone keypad, we have what you need. 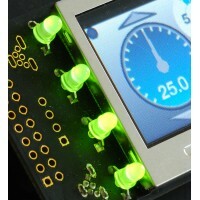 Capacitive Touch is available on GTT, HTT and Parallel Displays. Resistive Touch is available on GTT, Intelligent and Parallel Displays. A membrane keypad is a key input device, typically externally mounted, which uses physical pressure to detect the closure of switches. It consists of one or more metal domes that connect two separated conductors. This construction results in a slim, light weight profile that provides built-in tactile and audio feedback. Key life is typically estimated at 1 million touches. Membrane keypads often include an adhesive backing that is used to affix them to a rigid surface. 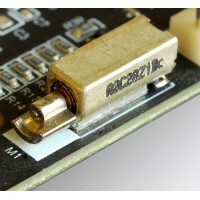 The simplicity of this low cost technology makes it attractive to industrial applications that require minimal input. 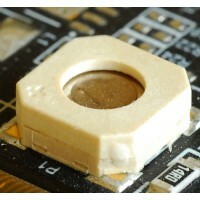 A piezo, or piezoelectric, buzzer is a simple audio device that converts an electric voltage into a tiny movement within a piezoelectric material that is amplified into a single tone using a resonator. This device generates a single frequency sound at a set volume; our products offer a selectable frequency range of 1Hz to 65KHz, and a volume of up to 95dB. We also provide an easily configurable duration setting between 1 millisecond and 65 seconds. This device is useful for providing auditory feedback to the user, especially for button activation or warnings. A speaker is an audio device that converts an electrical audio signal into a sound using magnetic induction that is amplified using a diaphragm. This device can emulate a number of different sounds and pitches using pulse width modulation (PWM) driving techniques. The EVE series provides a library of different sounds, from harp to cowbell, which can be played on a speaker. This device is useful for providing more advanced sound effect feedback to the user. Haptic motors provide feedback to the user, by causing the entire display to gently vibrate. This sensation is normally used to indicate a button press but can be used for any number of events. In GTT Designer, it is possible to change the frequency and duration of the vibration. A GPO, or General Purpose Output, is a switchable output that can be used by a Matrix Orbital display to control relays and other external devices. 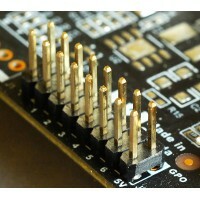 These pins can be controlled via software to either source 5V when on or sink 0V when off, with up to 15mA of current. These devices are useful for controlling peripheral devices in an industrial or an embedded application where IO pins are at a premium. An LED, or Light Emitting Diode, is a switchable output that emits a specific frequency of light when activated. 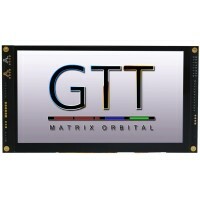 Matrix orbital displays typically use bi-colour LEDs that can be software controlled to produce red, green, or orange light. These devices are useful for providing fast visual status updates to the user.